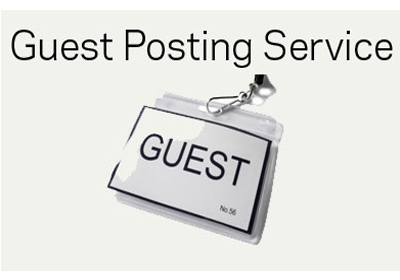 Guest posts are the posts that are made by the user on other websites in order to publicize himself and his work. Guest posts are new thing around the blog and have proved to be a useful strategy to promote brands and side by side promote client relationships. It has proved to be a quality SEO technique to get quality back links and promote online and offline content both. Guest posts are one of the safest and most used SEO techniques that are being used by SEO specialists nowadays. Guest posts are one of those tools that have been used by professionals and have proved to be very useful in SEO. Guest posts have high quality content that are written by casual or professional writers on blogging websites that are popular. The quality of these guest posts is very high as a professional blogger won't let a mediocre article to be posted on his blog. Our team of specialists designs your guest post in such a way that it covers all the important details that you want in it and at the same time make it light and understandable for the reader. The links that are created by our specialists will boost the traffic to your website and make it go up in the ranks on the internet. The content quality is never compromised and we provide the best. Ours is an exclusive content writingteam who specialize in writing guest posts. With our expert services, we provide the best quality content in the market and our clients are thoroughly satisfied with our service. We will never let you down.